This review contains spoilers, so be warned before reading. This has more than I normally would put in because of the content of the story. Read the last paragraph if you don’t want the details. One True Love is the first book in Linda Kage’s first epic fantasy romance series and I have to say that I was really impressed with her work on this book and it was so fabulous reading this one here. I will admit that I was SUPER nervous in reading this one, and I had this to be read for weeks, and I finally got up the courage to read it this morning and I am so glad that I was able to finally brave it and read this book because it was so worth it. I don’t know why I ever doubt Linda Kage because her books are priceless and are just the perfect books for me. But this story does deal with an aspect of forbidden love that we see so rarely in romance (although sometimes I have seen it in historical romance where one of the characters are married) So yes this is the reason why it took me so long to actually read this book and I wanted to so badly because I was curious to see how Kage would handle an epic fantasy romance. And it was really well done actually and it was handled very delicately which I liked and since this author loves a good forbidden love I was curious to see how she would get these two with their happy ever after without abandoning their values of loyalty and honor. Prince Urban is escorting his sister to her betrothed, where she will marry a prince of the land of sand, Donnelly. But when they meet the royal family, Urban feels an impression in his love mark that he has had since birth and he knows that his fated love mate is near but he is devastated when he learns that his true love is already married and heavily pregnant especially when she is married to a man that doesn’t love her or even appreciate her as he should. But he knows he can’t ever have her because he would do anything for her, and he knows that she is a woman that has a loyal heart and will never betray that honor that she has to her husband. So Urban keeps quiet, making sure that her needs are seen to without her knowledge of it. But then something changes everything when she almost dies from childbirth, it his kiss of true love that brings her back to life and now everyone knows the truth. The situation becomes way tenser but there is something more going on in the kingdom than meets the eye. And discovering the real truth will set Urban and his love on a course to finding they’re happy ever after in the most unexpected direction. One True Love was simply spectacular and I really enjoyed this fantasy romance despite the forbidden element where the heroine is married. For most of the book through they hardly speak to each other and barely touch, they do have dreams though but that is as far as it goes between them until they find out some truths and get to reach their HEA. I love how committed Urban is and even though he wants to carry his mate off and away from the Donnelly kingdom, he won’t do it because he will do whatever it takes to keep his true love happy even if it means being without his true mate and watch over her from a distance. 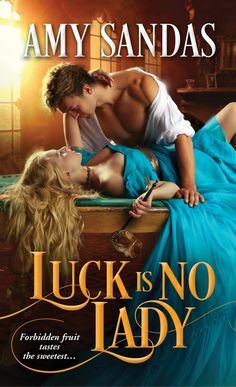 I did enjoy seeing how Linda Kage wrote this fantasy romance, there are some details that could have been better described, and of course the dialogue could have been a bit more polished it sounds more contemporary, some phrases I don’t imagine being said in this type of fantasy like world. However other than that, this story was precious and solid and truly enchanting!! I can’t wait to see what this author comes up with in the future. I grew up on a dairy farm in the Midwest as the youngest of eight children. Now I live in Kansas with my husband, daughter, and our nine cuckoo clocks. My life's been blessed with lots of people to learn from and love. Writing's always been a major part my world, and I'm so happy to finally share some of my stories with other romance lovers.